DENVER (AP) J.T. Realmuto was focused purely on putting the ball in play with the bases loaded and two strikes on him. With one out, Realmuto fouled off three pitches against struggling reliever Bryan Shaw before lining an elevated cutter just over the right-field wall. 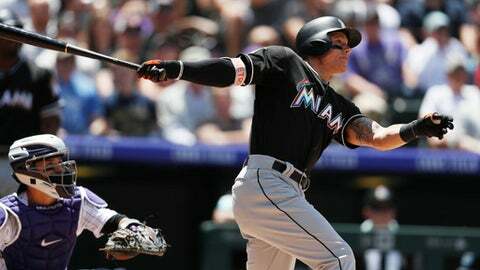 The drive helped Miami stop a three-game skid and ended the Rockies’ winning streak at four.